Easter – the spring holiday. 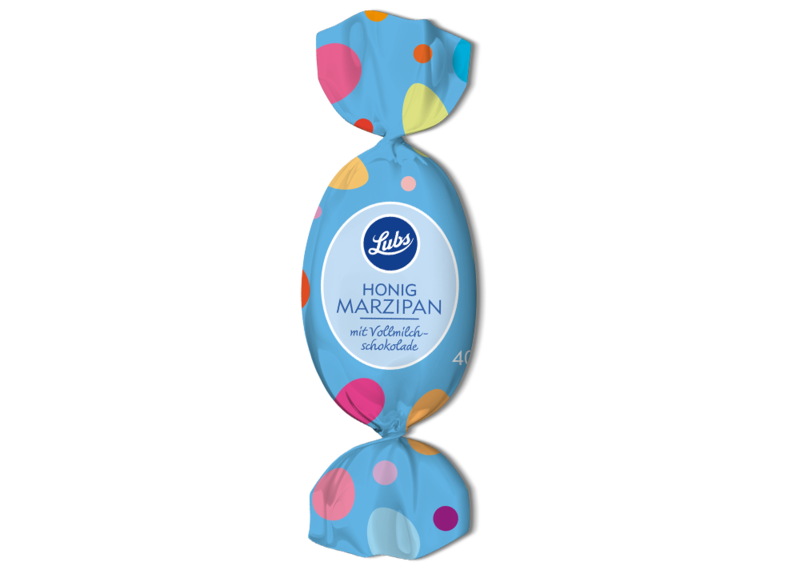 Why not enjoy this spring holiday even more with Lubs’ confectionery and marzipan eggs? 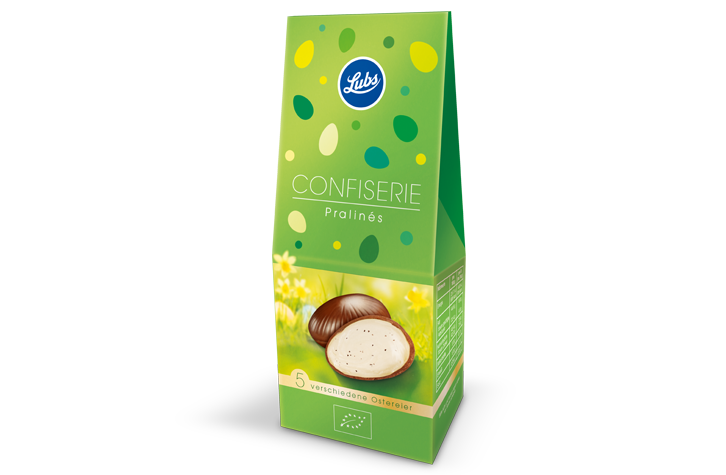 The confectionery eggs come in seven delicious varieties, the names of which already melt in your mouth. 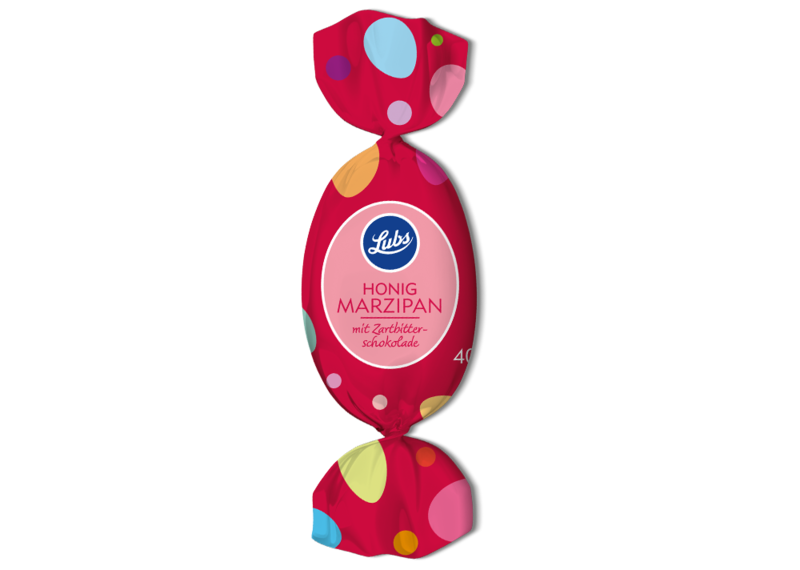 The marzipan eggs are filled with our mouth-watering Lübeck marzipan, which is sweetened with mild honey. 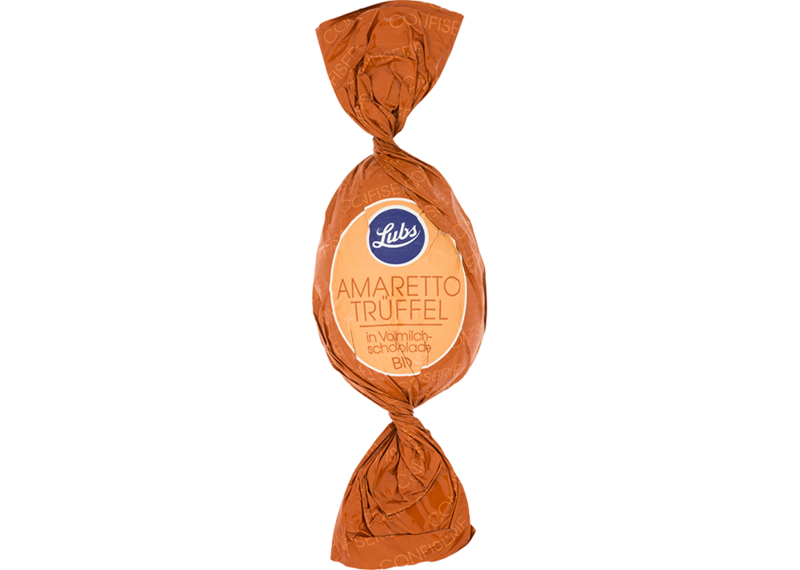 Fine milk chocolate filled with almond nougat and amaretto. 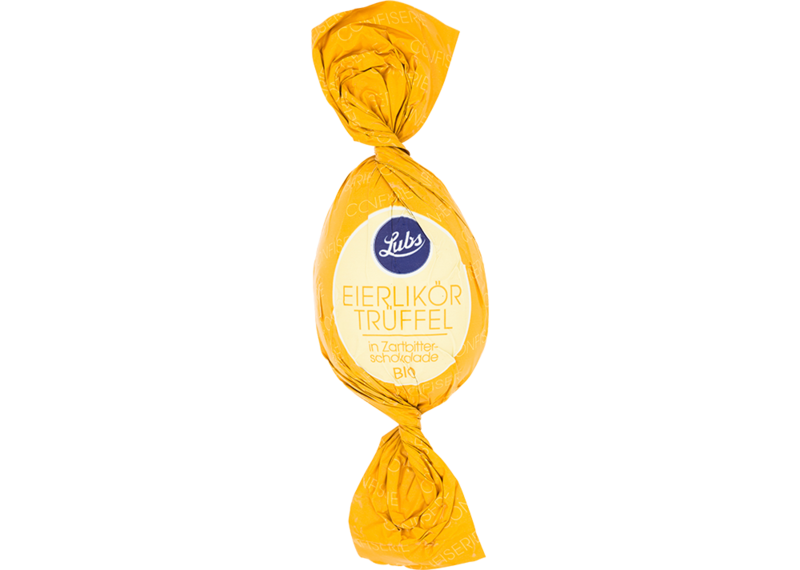 Dark chocolate covered in a light truffle and egg liqueur cream – a whimsical reminder of times gone by and delicious into the bargain. 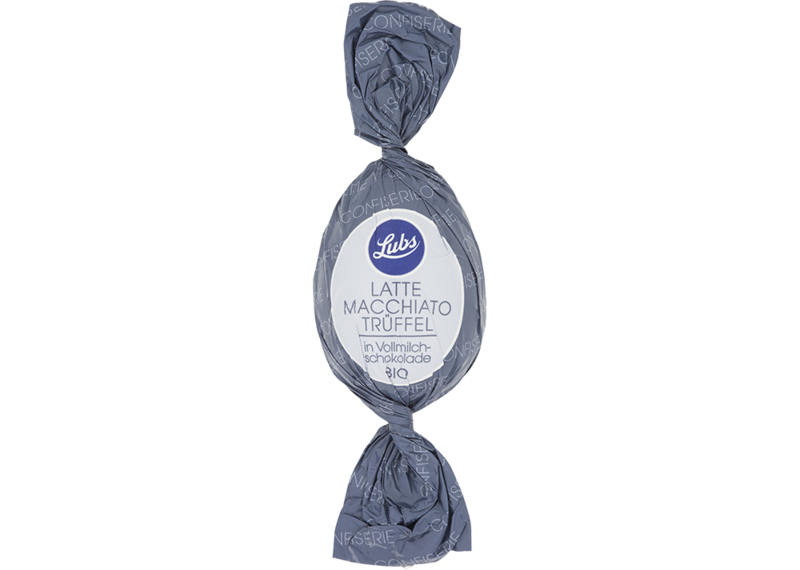 Virtually a classic already: milk chocolate filled with a aromatic latte macchiato cream. The strong aromas of espresso and roasted beans are complemented by a sweet milk chocolate shell. Ingredients: milk chocolade* (39 %) (raw cane sugar*, cocoa butter*, whole milk powder* (21%), cocoa mass*, bourbon vanilla extract*), white chocolate* (raw cane sugar*, cocoa butter*, whole milk powder* (21 %)), sunflower oil*, clarified butter*, agave juice concentrate*, water, instant coffee* (0,6 %). 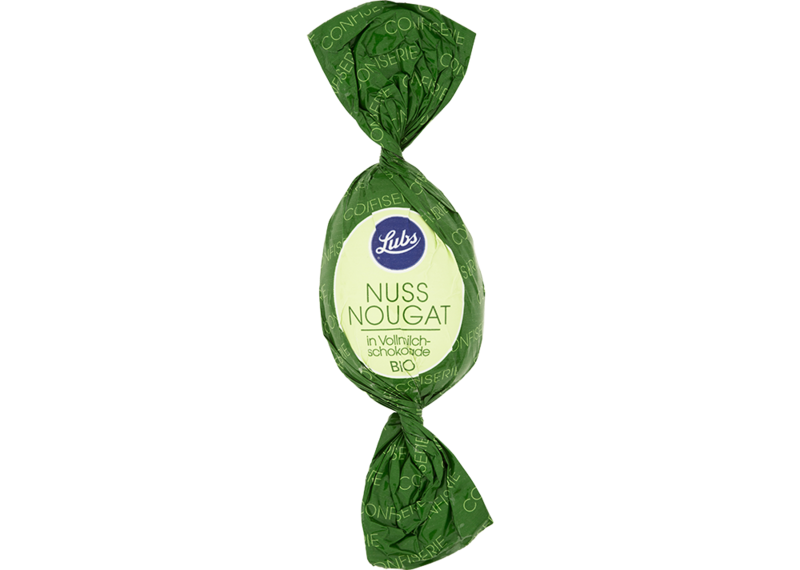 Creamy and fine almond nougat made of almonds and cocoa butter in a dark chocolate shell – a truly classic piece of confectionery that’s always enjoyed. 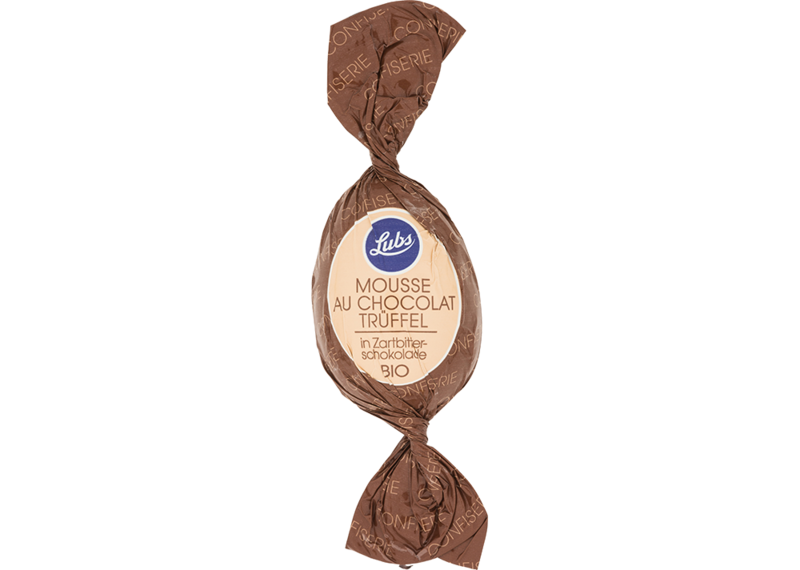 A feathery-light mousse, enrobed in gloriously tasty milk chocolate – this classic chocolate truffle combination melts in your mouth. 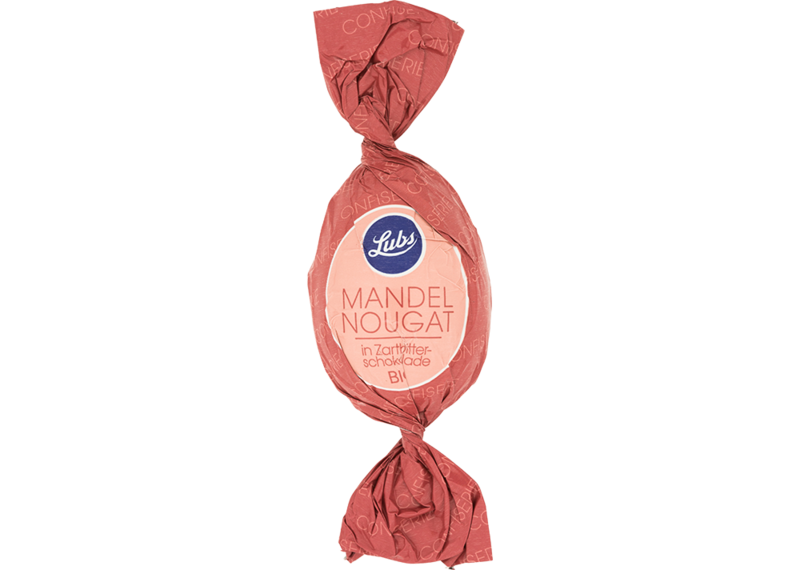 It deserves its reputation as a classic because it’s full of hazelnuts and the finest cocoa butter, infused with a hint of genuine bourbon vanilla and covered in fine milk chocolate. 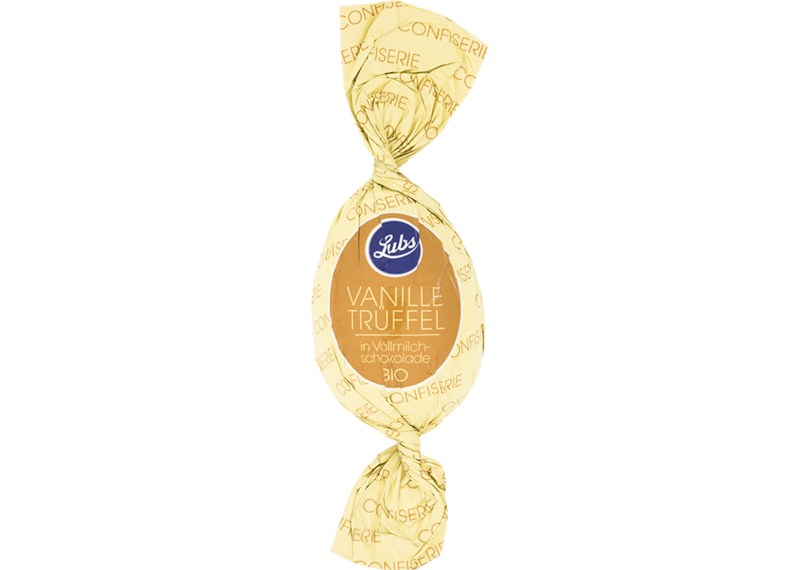 These irresistible truffles are made with lots of bourbon vanilla, as revealed by the small dark specks in the light velvety truffle cream, and enrobed in dark chocolate. 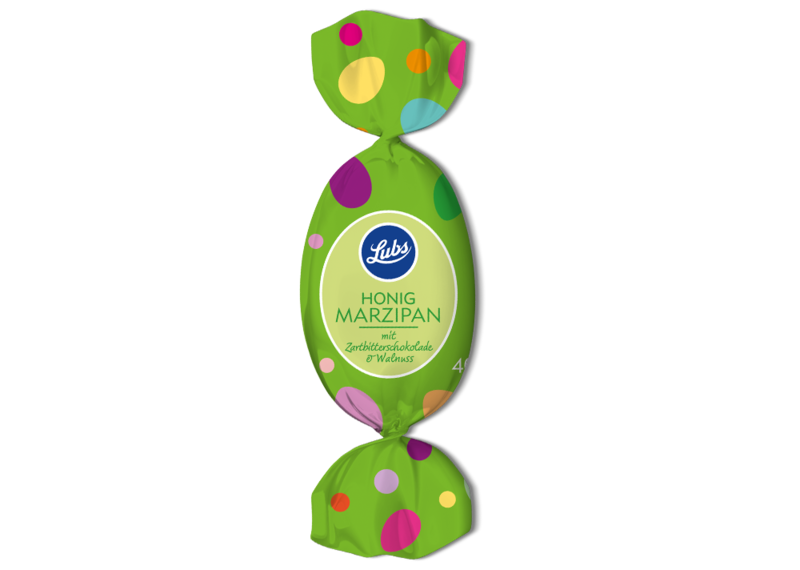 The delicious Lubs Lübeck marzipan with 53 % almond content and soft organic honey, covered with sweet milk chocolate. Our honey marzipan, avoured with ground walnuts, encased in dark chocolate, topped with an exquisite walnut from an organic producer.